Vijender Singh is a renowned professional international boxer from India and is best known for being the current WBO Asia Pacific Super Middleweight Champion. He is also one of the most awarded sports personalities of India today. Vijender Singh Beniwal was born on the 29th of October in 1985 in Kaluwas village in the northern Indian state of Haryana. He belongs to a Jat family and his mother is a homemaker while his father, Mahipal Singh Beniwal, is a Haryana Roadways passenger bus driver. Vijender did his initial schooling in Kalwas and went for secondary schooling to the Happy Senior Secondary School in Bhiwani, Haryana. He went on to attend the Vaish College and earned his bachelor’s degree from here. As the boxing craze swept India in the late 1990’s Vijender became interested in boxing as a means to support his family in a better way. He was helped in this effort by his elder brother, Manoj, who was himself an ex-boxer and went on to join the Indian Army on his boxing credentials. 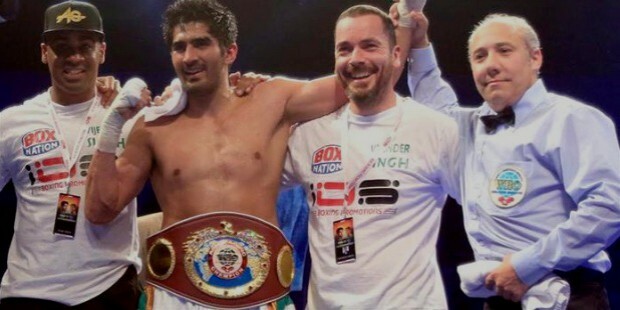 Manoj was significant in supporting his training and coaching to ensure that Vijender got the best training possible to become a professional boxer. 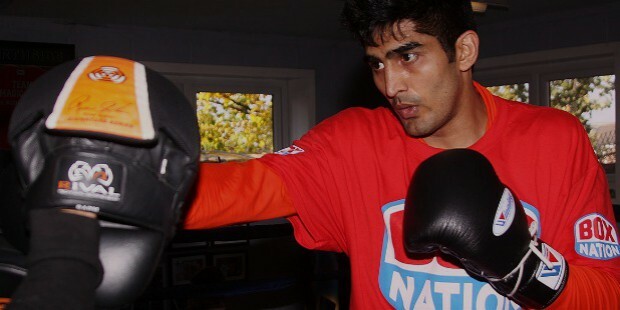 Vijender began practicing and training at the Bhiwani Boxing Club and was recognized as a budding talent by former national boxer Jagdish Singh. 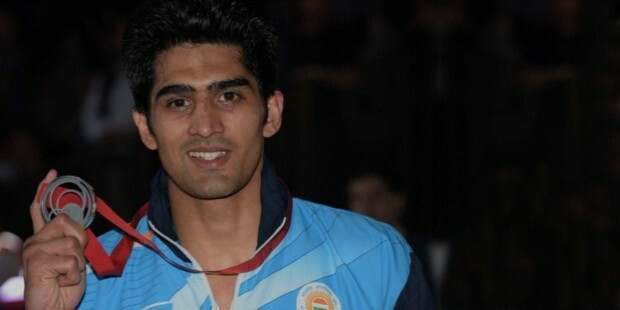 In 1997, Vijender won his first bout and went on to win the silver medal in his first sub-junior national championship. In 2000, Vijender went on to win the gold medal in the 2000 Nationals. Three years later, in 2003, he also became the all-India youth boxing champion and took part and won the silver medal in the 2003 Afro-Asian Games. In the 2004 Athens Summer Olympics, Vijender entered in the welter-weight division and lost the fight to Turkish boxer, Mustafa Karagollu with a score of 20-25. 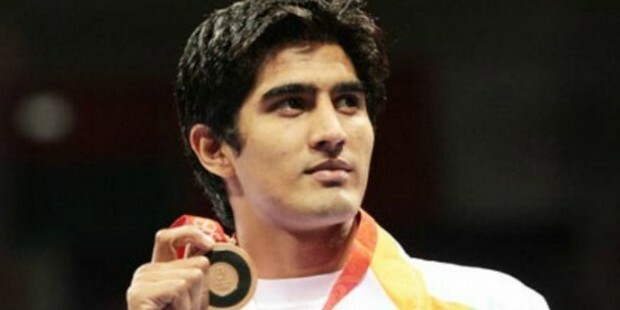 In the 2006 Commonwealth Games, Vijender defeated English boxer Neil Perkins in the semi-final but lost the final to South Africa’s Bongiani Mwelase and earned the bronze medal. 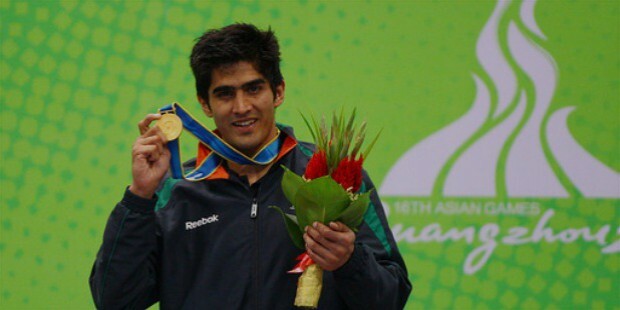 For the 2006 Asian Games in Doha, Vijender moved up in the body-weight division and entered as a middleweight (75 kg) contender. He went on to win the bronze medal when he lost the semi-final round to Kazakh boxer, Bakhtiyar Artayev with a score of 24-29. He also qualified for the 2008 Beijing Olympics despite suffering from a back injury. In the 2008 Summer Olympics, Vijender defeated Gambia’s Badou Jack in round 32 and also Thai boxer Angkhan Chomphuphuang to reach the Middleweight Boxing Quarter Finals. He defeated Ecuadorian boxer Carlos Gongora with a score of 9-4 in the quarterfinals which also earned him a valuable Olympic medal which was also the first for an Indian boxer. Cuba’s Emilio Correa defeated him in the semi-finals and he had to share the bronze medal for it. 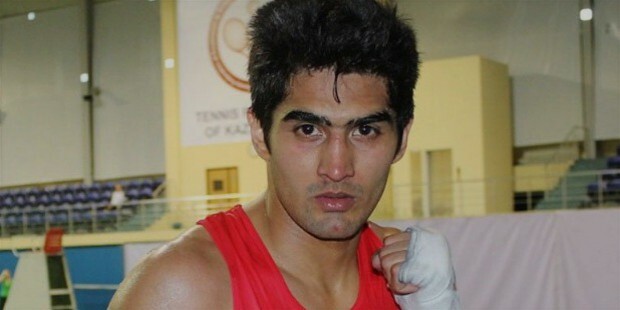 In the 2009 World Amateur Boxing Championships, Vijender defeated Uzbek boxer Abbos Atoev in the semi-final match of the 75 kg division and won the bronze medal. In the 2010 Commonwealth Games., Vijender was defeated by English boxer Anthony Ogogo in the semi-final match-up with a lead of 3-0 up till the final round of the match. In the same year in November Vijender won the 2010 Asian Games after defeating Uzbek boxer Abbos Atoev with a score of 7-0 in the finals. Apart from his national and international career he is also a pro boxer who has appeared in many private events. In 2015, Vijender fought and knocked out British boxer Dean Gillen in the first round at the National Stadium in Dublin, Ireland. In April of 2016, Vijender defeated French boxer Matiouze Royer with a TKO in the 5th round at the Copper Box Arena. 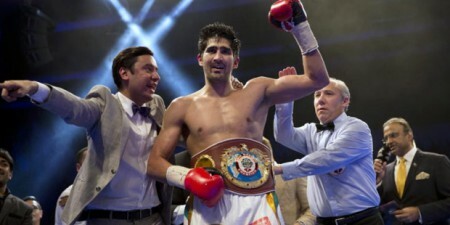 In May of 2015, Vijender fought and knocked out Poland’s Andrej Soldra in a 3rd round TKO and earned his 6th professional win in a streak all by knock outs. In July of 2016, Vijender defeated Australian boxer Kerry Hope to win the 2016 WBO Asia Pacific Super Middleweight title in India. This was also his 7th straight win by unanimous decision. Vijender Singh is one of the few greatest Indian professional boxer of all time and is best known for being the only Indian professional boxer to have won a medal in the Olympics. 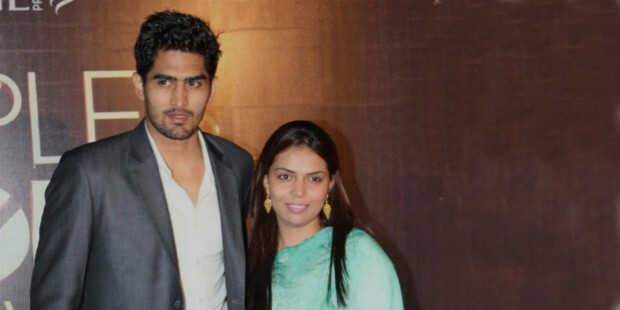 Vijender Singh is married to Archana Singh and the couple has a son, Arbir Singh. 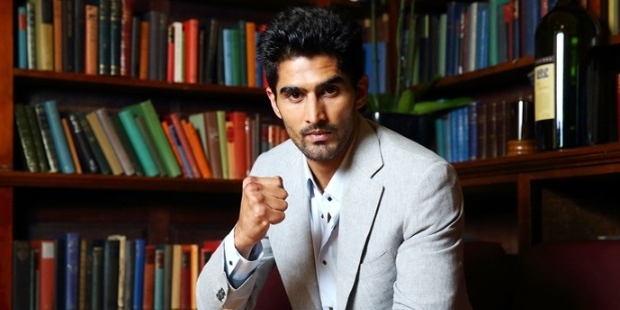 Apart from boxing, Vijender has also become a media personality and a youth icon. He has participated in various fashion shows and also modeled for renowned brands in order to promote the sport of boxing in India. He also appeared in celebrity shows such as 10 Ka Dum, Nach Baliye as well as one of the judges on the MTV reality show Roadies X2. Vijender Singh has won many awards for his amazing boxing skills, such as the 2016 WBO Asia Pacific Super Middleweight Championship.